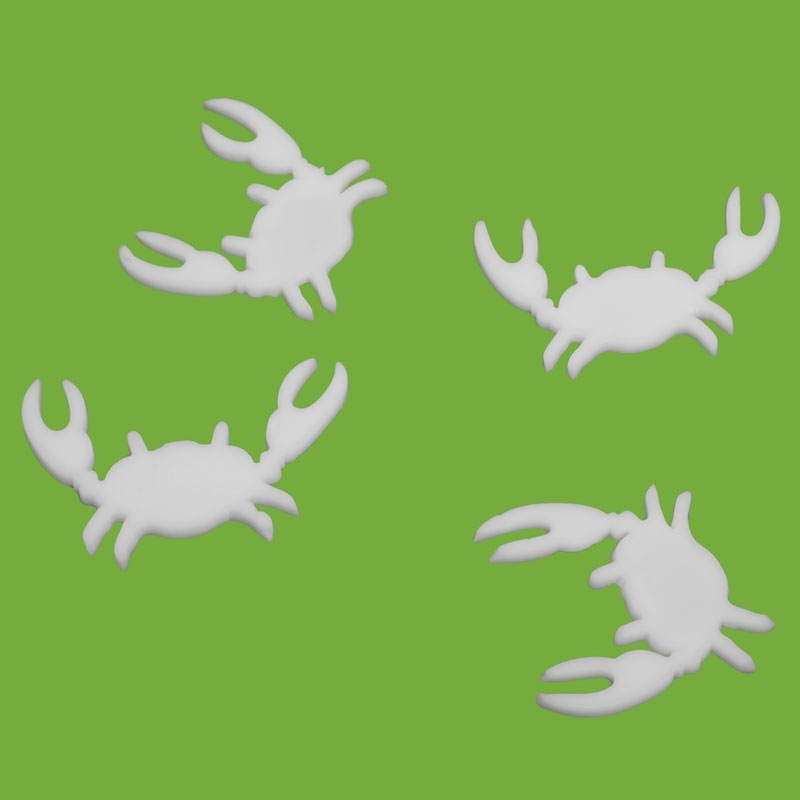 This crab-shaped mold is made of a special silicone, officially TÜV certified. 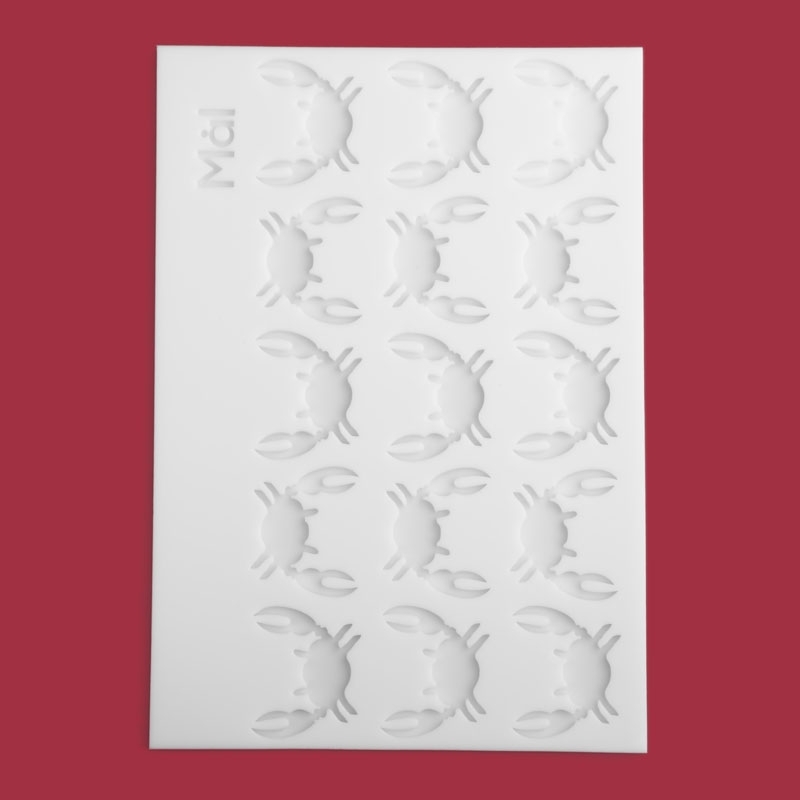 The molds can withstand temperatures from -40 to 240 degrees Celsius. So it is therefore possible to use it in the freezer, oven and dishwasher. 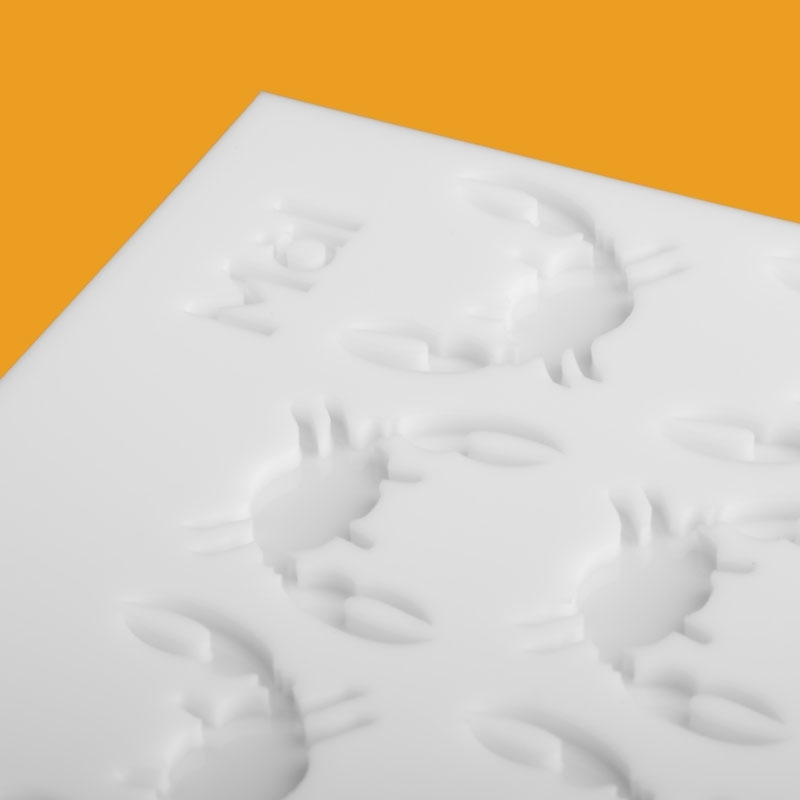 Despite exposure to the large temperature differences, the molds will remain flexible. This flexibility allows unloading the mold easily, so the products formed, retain their details and will not break.